You are probably aware of the importance of saving for retirement through some sort of tax-advantaged retirement account. One of the best ways to grow your wealth efficiently is to do so with some sort of investment account that allows you to earn money at a faster rate than a savings account (although there is always the risk of loss with investment). You can do this with the help of a Roth IRA that grows tax free. With a Roth IRA, you put after-tax dollars into an investment account, and when it comes time to withdraw the money, you are not taxed on it. There are limits, though. 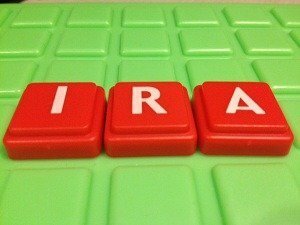 While anyone can open any IRA as long as he or she has taxable income, the Roth IRA has a special set of limits. As of 2013, you can contribute $5,500 each year to a Roth IRA ($6,500 if you are at least 50), an amount that will be adjusted upward for inflation moving forward. There are also income limits. If you are married filing jointly, you can only contribute the full amount each year if your adjusted gross income (AGI) is less than $178,000. For those who make between $178,000 and $188,000, the contribution limit is phased out. Once you make $188,000 you can no longer contribute to a Roth IRA. For those who are single, the phase out starts at $112,000 AGI and ends at $127,000. You can have more than one Roth IRA account, but all your disparate accounts will be treated as one account, with your total contribution limited. Your spouse, though, can open his or her own Roth IRA, separate from yours, bringing your total couple contribution possibility to $11,000 a year (or $13,000 if you are both over 50). If you are eligible to open a Roth IRA account, it is actually fairly easy to get it done. Most online brokers and discount brokers will let you do everything via the Internet, with no need to mail anything in. You can also visit a local brokerage office, or check with your insurance agent or bank representative, and open a Roth IRA in person. My Roth IRA was opened when I was younger and not as knowledgeable; it’s invested in a managed mutual fund and the returns are being eaten at by a 2% annual fee (I’m in the process of seeing what I can do to rectify the situation). My husband’s Roth IRA, on the other hand, invests in a low-cost index fund via an online discount broker. There are a number of institutions now that offer no-fee Roth IRAs. You should also consider what kind of investments you want in your Roth IRA. Most people invest in stocks through mutual funds and index funds. However, it is possible to use a Roth IRA account to invest in cash, bonds, real estate, commodities and just about anything else. Even Lending Club, of P2P loan fame, offers an IRA account option. Assess your risk tolerance and your asset allocation needs and retirement goals to help you decide what investments should be included in your Roth IRA. Find out what the minimum deposit requirements at your institution of choice. Some accounts only require that you start with $25, while others have opening deposit requirements of up to $5,000. Most brokers, though, will allow you a lower opening deposit if you set an automatic withdrawal plan so that you are investing the same amount of money every month (most often at least $50 per month). Automating the process is a good way to ensure that you continue making contributions and get into the habit of saving for retirement. In order to reach the $5,500 maximum, you will need to put in $458.33 each month ($541.66 if you are at least 50 to reach the $6,500). The whole process of opening a Roth IRA takes about 15 minutes. You answer a few questions, and it’s less painful than filling out a job application or a credit application. It only took about 10 minutes to set up my husband’s account online. If you’re looking for more options, here’s a list of top discount brokers that you can check out. By the way, if you decides that you should open a Traditional IRA instead of a Roth IRA, you can follow the same process as outline above (you just have to indicate that you want to open a Traditional IRA instead). @Brenda – I am sorry to hear about your situation. As far as I know, there is no restriction against contributing to an IRA while you are in the middle of a foreclosure. The only restriction is that you must be under 70.5 (which you are) and have earned income during the year.